On Tuesday, January 8th, Warpwire was upgraded to a major new release. See our Service Updates page for information about the new features. Duke provides secure (NetID-based) video and audio publishing through Warpwire. 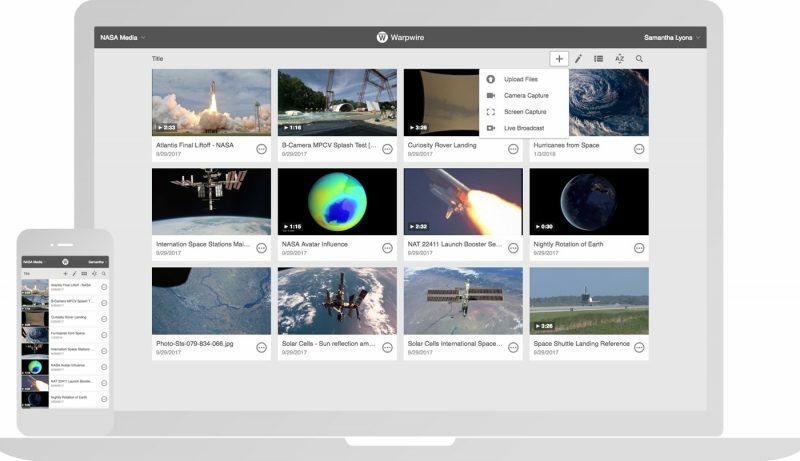 With Warpwire, anyone with a valid Duke NetID can easily upload and publish video, audio, and image files and share them with Duke and non-Duke users— anywhere, anytime, on just about any modern device. Warpwire also supports the creation of RSS feeds for files it hosts that can be published to places like Apple Podcasts, Stitcher, Google Play, and TuneIn. For streaming live events, ip camera streaming, and R&D projects, Duke offers access to a centrally licensed Wowza Media Server. How can I create an RSS feed in Warpwire to publish via Apple Podcasts? Warpwire allows anyone with a Duke NetID to upload and share video, audio, and image files with other individual Duke NetID holders, with groups of users with Duke NetIDs (i.e., course groups), and with combinations of individuals and groups.